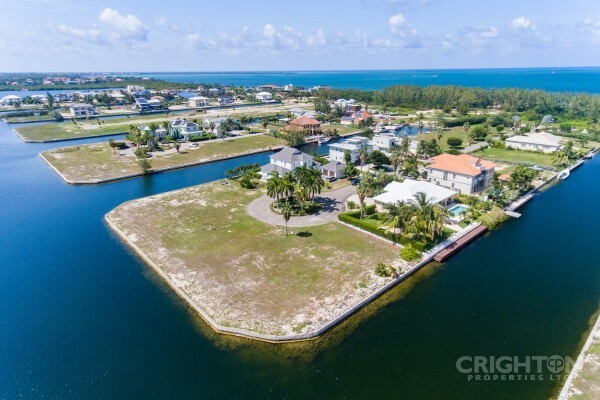 LALIQUE POINTE OCEANFRONT LOT in Cayman - Crighton Properties Ltd.
Amazing waterfront lot in the exclusive gated community of Lalique Pointe on the Seven Mile Beach corridor. Surrounded by million dollar residences, this property is an ideal site for a beautiful waterfront estate. Restrictive covenants, underground utilities, lush landscaping, park area, private clubhouse and marina, and near the beach, golfing, shops and restaurants. Dimensions are approximate.